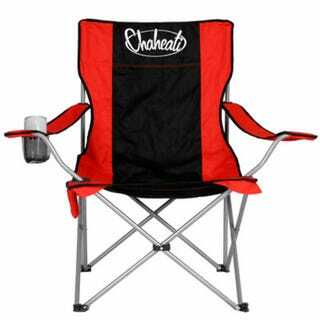 The collapsible camping chair has been a staple of camping sites and tailgating parties for as long as I can remember, but this battery-powered seat warming one from Chaheati is the first I've seen that thaws your keester. The adjustable heater keeps your nether region toasty at approximately 100 degrees for up six hours. Crank it up to 145 degrees for about 1.8 hours of warmth for more extreme camping.